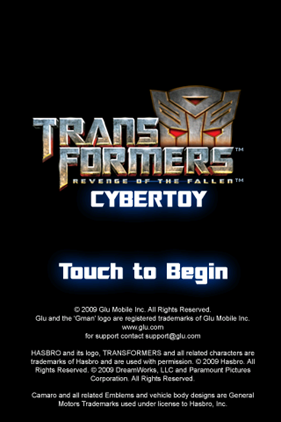 Glu Mobile Inc. has launched the Transformers CyberToy app for the iPhone, much to the delight of the movie fans in conjunction with the launch of recently released Hollywood blockbuster Transformers: Revenge of the Fallen. 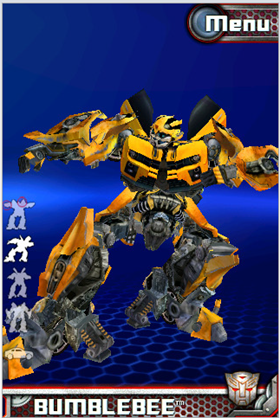 The first TRANSFORMERS digital action figure is here. 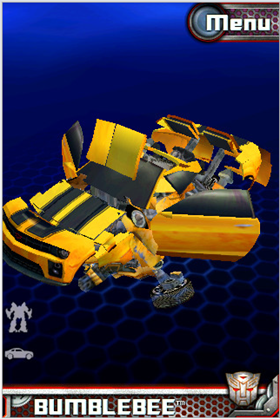 Touch, swipe and drag BUMBLEBEE to change him from vehicle mode to robot and back again. 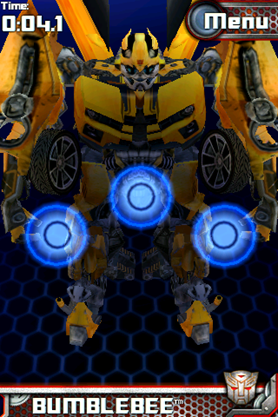 View stats and history or position him into several action poses. 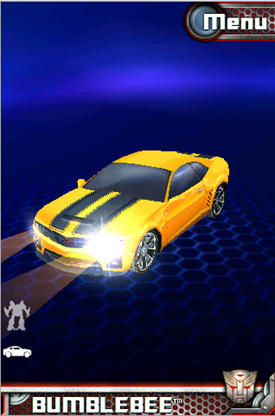 Bumblebee is the first figure included in this entertainment application and future updates will include more AUTOBOTS and DECEPTICONS to add to the collection. 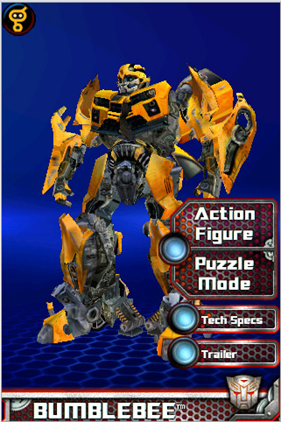 All characters are taken from the upcoming feature film TRANSFORMERS: Revenge of the Fallen from DreamWorks Pictures and Paramount Pictures, in association with Hasbro, due out June 24th. It surely is a great app for burning off some spare time. Controls take a little while getting used to before you master them, but they provide an extra added challenge to the game play. 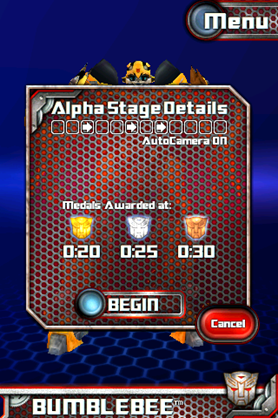 Sadly no Megan Fox in there but action figures for OPTIMUS PRIME, MEGATRON, and STARSCREAM are coming soon in the next update. 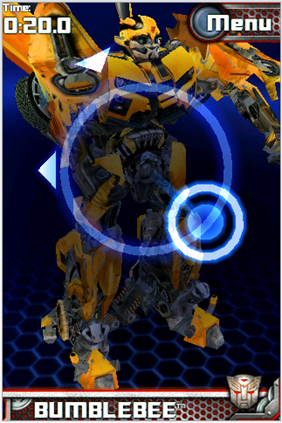 Transformers CyberToy can be downloaded for iPhone and iPod Touch for a mere $0.99 from the App Store or the iTunes store.